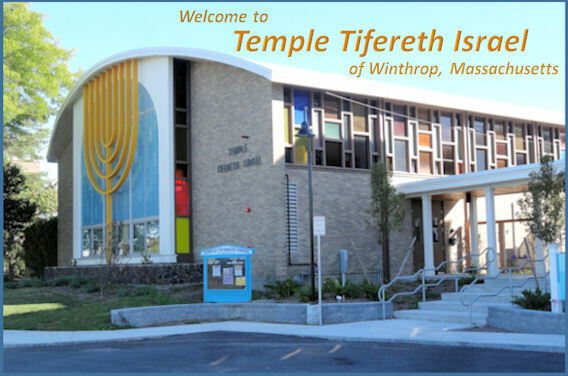 On behalf of the Officers and Members of Temple Tifereth Israel in beautiful Winthrop-by-the-Sea, I want to welcome any one who is seeking a friendly, comfortable, and non-judgmental congregation to join with us for any of the relaxed, and unintimidating services (see listing) as well as for any other religious, spiritual, or social event. For anyone interested, we would be more than happy to provide a tour of the Temple as well as explain all aspects of our Temple life. 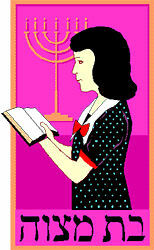 Please conteact the Temple at 617-846-1390 or by e-mail at ttiwinthrop@gmail.com to arrange for a visit. As you all may know by now, Temple B’nai Israel in Beachmont – Revere’s last synagogue – will close shortly, leaving Temple Tifereth Israel of Winthrop as one of only three Synagogues or Temples in Winthrop (1), Chelsea (1), Everett (1), East Boston (0) and Lynn (0). If the Jewish communities in these cities and towns are to have any place to pray, educate their children in the Hebrew religion, say kaddish, come together for social events, celebrate the Jewish holidays, mark life cycle events, etc., then Temple Tifereth Israel must not only continue to provide these services, but, most importantly, it needs to reach out to all Jews in this area - young and old – to join our Temple community. This year, under the leadership of our Temple’s Rabbinical Intern, Mimi Micner, the Temple has attracted as many as 50 members of the local Jewish community to enjoy monthly Friday night family services and pot luck dinners. All age groups have been represented at the short (30 minutes), modern Erev Shabbat services and the following repasts. Our recent Purim Carnival was another event the was thoroughly enjoyed by dozens of attendees of all ages. In other words, our Temple is providing quite modern services and events appropriate to all age groups. Temple Tifereth Israel is no longer your grandfather's Shul! For Temple Tifereth Israel to continue to provide and expand these services, the Temple must reach out to Jews in Winthrop’s vicinity – particularly to younger Jews and their families, whoe live in or are moving into the rapidly growing number of apartments and condominiums that have been recently built, are currently under construction, or are planned for Revere, Chelsea, Everett, East Boston and Lynn. To accomplish this, Temple Tifereth Israel is looking for one or more individuals to institute and run an aggressive outreach program in and around Winthrop that will attract young families there, along with those members of the older Jewish community who need a new focal point for their religious and social needs, which is no longer available to them as a result of the closing of Temples and Synagogues to which they formally belonged. The need is here and now. Let’s not fail to answer the call. Volunteers gladly accepted. The outreach program leader does not have to be a Temple member. Previous experience in leading one or more outreach programs is desirable. Please contact the Temple with suggestions for one or more persons to lead the outreach program. Call 617-846-1390; E-mail to ttiwinthrop@gmail.com; write to Temple Tifereth Israel, 93 Veterans Road, Winthrop, MA 02152. Never Had A Bar or Bas Mitzvah? Some of our Temple members and some members of the Jewish community in and around Winthrop who are not members of the Temple may have never experienced their own Bar or Bas Mitzvah. 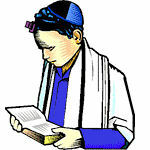 We are offering the opportunity for these people to become Bar or Bas Mitzvah'd. Your Bar/Bas Mitzvah training will include English and Hebrew and everyone, no matter what their background or ability, will be able to participate and achieve this wonderful goal. Contact the Temple at "617-846-1390" for more information. Remember: Everyone can be a participant, as long as you have the desire. We will accommodate to everyone's abilities, needs and desires. Instead of running around wasting expesive fuel to find a gift for your child, grandchild, or anyone else, you can buy or order the perfect gift from the Temple's Gift Shop, while helping to support the Temple. To purchase an item, call the office at 617-846-1390 to see if they can order what you want. If Not Now, When is the Right Time to Place a Leaf on the Tree of Life? 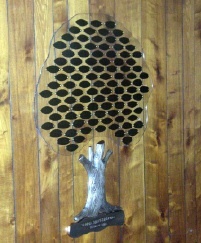 Place a leaf on the Tree of Life in the Main Sancutary to support the Temple while showing your love and affection for dear friends and relatives. Engraved leafs cost only $180 and there is no more appropriate way to honor loved ones and to celebrate those special occasions - anniversaries, births, birthdays, etc. You can order your leaf by providing the Temple with your instructions for the name and message to be placed on the leaf and sending in your payment. It will normally take 4 to 5 weeks for your order to be completed.